Be the best looking team at the tournament! 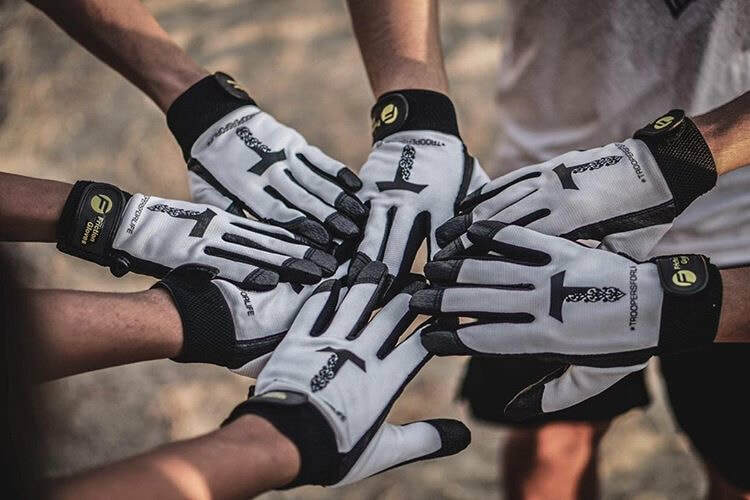 Team custom Friction Gloves are an essential part of your team jersey order. Let us help you get that sweet idea from your head to the gloves! ​We also offer discounts on team orders of non-customized Friction Gloves. Shoot us a message (below) and we'll give you sweet deal! All team custom gloves come with free artwork assistance, no setup fees, quick turnaround time (~2 weeks), and the best customer service we can offer. Email us at info@frictiongloves.com or fill out the form below to get started. Fill out the form to get started today. We can help you get started with custom design, team orders, or any questions you may have. Just fill out the form and we will get back to you as soon as possible! To help get us started, let us know your ideas for custom Frictions and what color print(s) you would like. Feel free to include your potential shipping address so that we can help give you the best quote possible! Feel free to send your logo with the rest of the form so we can help you out!